Your TITLE on your blog posts can make a huge difference to your rankings. You know you need to rank. You need that ‘google traffic‘. It’s how you’re going to get leads cheaply, and for a long time, so it’s important to know as much as you can about SEO. What if I told you that you could improve your rankings by changing a couple of words in your title? You can. It’s easy, I’ve done it. Well, to start off with let’s think about how Google ranks pages. Google ranks pages to match up to people’s search terms. Terms which, by the way, are ever changing. As society changes and trends rise and fall the WORDS people type into search engines change. In order to stay always on top you need to show Google that your site is better than all of the others. Content is part of this situation. Your CONTENT, that is the actual ‘stuff’ on your page needs to be great. It can’t be mediocre in today’s world. It needs to be unique, interesting, helpful, easy to read and free. So you work hard to get all of that stuff on the page, and usually what happens is you give it an average title. 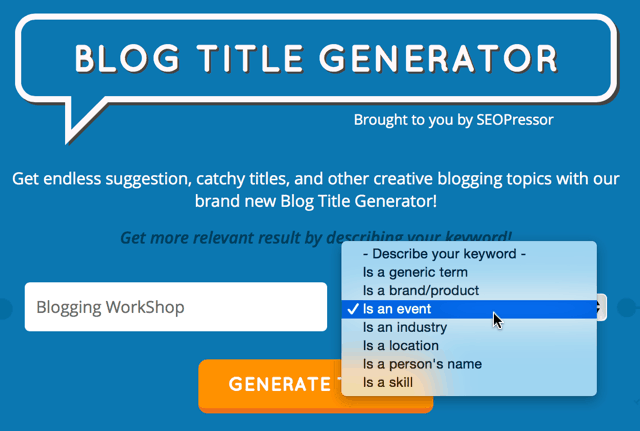 Now, the title of your blog post can be argued to be THE most important thing about your post. Why? It’s the first, and in many cases the last thing your readers will ever see about your blog. If someone sees your title in the SERPS and doesn’t click it, that’s very bad. Your title needs to draw people in like a magnet. Now, what invariably happens is that as people learn about online business, SEO and so forth, they’ll have it drilled into them that ‘keywords are key’ and you need to put your keywords in your title, somewhere near the start. This is somewhat true, but what’s even more important? Well sure keywords are important. You should always have the keywords you want to be found for somewhere on your page, preferably more than once and in different formats (meta tags, alt text, headings and in content) but if no-one clicks your page then it doesn’t matter. A HUGE ranking signal for Google is click through rate on the results page. If people are clicking OTHER sites over yours, and they KEEP doing this, then after a while your site sinks down further, and this in turns gives you less chance to be clicked on and it’s a horrible cycle to get into. You want to make sure that when Google ‘tests’ your site (they show your site nearer the top for a short period of time to test how many people click it and like it) it performs well. Google has been known to show new sites or posts higher in the search results for a short period of time to test the click through rate, and how long people stay on your page. If your content is great, they should want to stay on there for a while, right? But they won’t get there in the first place if your title isn’t good enough. I’ve got a niche website which I don’t want to reveal here as it’s not relevant to internet marketing but just by adding a number to the title, I increased the click through rate to WAY above the average and within a few weeks it was raking number one. Not only that, but it was ranking number 1 ABOVE sites that had MORE links, MORE content and MORE social shares. Because more people (by far) clicked my post over the other ones, and when they got there, I had great content which kept them interested enough to keep reading. Click through rate is very important. So, what was the title? Now, all of the other posts for this keyword has the keyword in the title in one way or another. None of them had my little addition of ‘especially number 5’. People saw this (at the time it was raking on the second page, and then a few days later, bottom of page 1, then now the first result) and clicked it because they were curious. They wanted to know what ‘number 5’ was! Then when they clicked there, they stayed to read because I had written a great article. That ranking is still staying there. I’m still the number one post for that search term and several related ones and I’m ranking above other better sites. It’s been several months now and nothing’s changed. Maybe my competition haven’t thought about changing their title? Okay, so we understand that titles are important. So What Makes A Great Title? Things that turn the experience from someone searching a load of random posts to a conversation. Think along the lines of if you were talking to a friend. Numbers have been shown to increase click through rates. People like specific numbers. It makes it more relatable and interesting. So that’s it for now, but next time you writer a blog post, think about the title you’re going to give it. Great titles can help your article get that boost it needs. Make sure that no matter how great your title, your content is even BETTER. If you have a great title but terrible content then people will click on your site, then instantly click back to the search results. This sends a signal to Google and after not too long they’ll put your further and further down the list. It’s known as ‘pogo sticking’ when a searcher jumps from your site right back to the search results and it tells the big G that they didn’t find what they were looking for. Are you working hard on your blog post titles? Stefan is a blogger and entrepreneur who runs a passive income blog over at http://www.transcendyourlimits.com/business/ so go and check that out. It has been three years that i am doing SEO and Blog title has always worked for me. When we search with exact title of our blog post, then results appears at the first page and at first position. 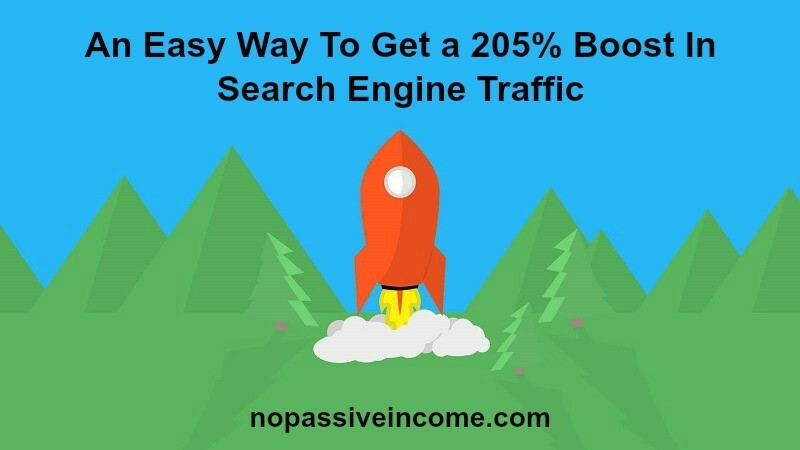 And you are perfectly right that when we will use post titles with perfection or using some extra tools that you have stated in post, then surely our site will drive more traffic and will result with better SERPS rankings. And also thanks for the amazing Post. Post title really plays a major role in a blog’s search appearance and visibility. Once again, i have learnt something great from this blog. Glad you liked Stefan’s contribution. After reading this I went and pretty much changed all my post titles and search engine descriptions. Before, my titles were SEO heavy and very very boring. Thanks for this post it has definitely started a great habit that I’ll never forget to use. SEO may be boring, but if done the right way, it brings huge results Carlton. Catchy blog titles always attract people. However, it should do justice with the contents on the post. It should not be click bait thing. We don’t want to attract our readers with killer headlines and then disappoint them with bad content. Thanks for sharing your views, have a good week.